It is very clear that digital marketing has changed the way people are showing their trust to a business. What consumers think and post online about a product or service is much more important than what the business itself is saying about its products and services. In other words, online opinions or else, online reviews, significantly affect the decision-making process towards online and offline conversions because customers enjoy reading reviews. Apart from this behavioral effect that reviews and ratings have in people’s decisions, they also are an important feature in terms of SEO and more specifically in local search ranking. Reviews are among Google’s top local ranking factors. According to Google, positive and high-value reviews will boost the visibility of a business in SERP. Google even encourages the interaction with those reviews by always responding to them. Tip: Don’t be afraid of potential negative reviews. Negative reviews are challenging for a business. By confronting them with a positive mind, you will win the appreciation of your customers and also acquire the knowledge to improve your services as well as your online reputation. • Increase CTR: It is more likely for your visitors to click on your business link if they see reviews in order to learn more. Therefore, reviews are an eye-catching feature. • Create new content: Reviews create a brand-new source of content for your business. Reviews generate brand new content which is a ranking factor. • Prominence: Reviews boost prominence, one of Google’s local ranking factors, which describes how famous a business really is. • Back-links: review websites such as Yelp, are source of good quality backlinks, one of the top-ranking factors. 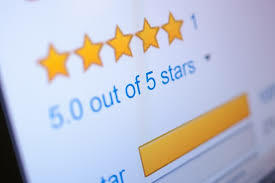 Reviews must be as many as possible, be renewed naturally and not too fast because they may be perceived as fake ones and be presented in several websites of a high quality and not only to those that belong to Google so as to inspire authority and trust. Firstly, build your Google My Business profile that will boost your local reach results. Verify your Google+ profile and encourage visitors to post reviews about your business and redirect them from your website to your Google My Business page. You need up to 5 reviews on your profile to be displayed on Google map results. Add a review landing page to your business website by encouraging your visitors to not just rate their experience, but also to leave reviews. Create social media platforms like Facebook so that you will get reviews there. Facebook is one the most visited social platforms, which users love to visit in order to acquire a first taste of a business. Include your website to review websites like Amazon, Yelp, etc., or to review websites that are close to your niche. Depending on your niche, you can choose the review website that suites you the most, in order to get more relevant reviews. Set up Review/Rating rich snippet via Schema.org or Aggregate Rating schema markup to your website to help Google understand all the necessary information regarding your ratings and reviews, by showing them at the SERP. Take advantage of your reviews when responding back by using long-term keywords related to your niche and at the same time generate yourself new, relevant but also optimized content. Finally, ask for reviews. Ask your customers to review your services, by sending those emails and newsletters and by using pop-up on-site windows. To put everything in a nutshell, reviews are first and foremost very helpful for the online users as they provide users with a real product/service experience by other users. Reviews can generate new, relevant keyword-based content enhancing the SEO of your business. And finally, reviews are a free-of-charge advertising method, a word-of-mouth advertising that may lead to online but also offline conversions. Hence, embrace reviews and ratings as they seem to be an -almost- indispensable piece of the online presence of a business.